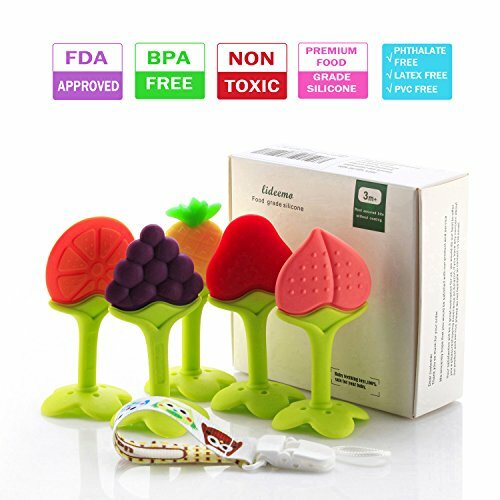 -Colorful and fun Fruit shape will attract the baby’s attention,keeps baby’s interest and stimulates vision development.Soft edges to perfectly fit in your baby’s tiny mouth. 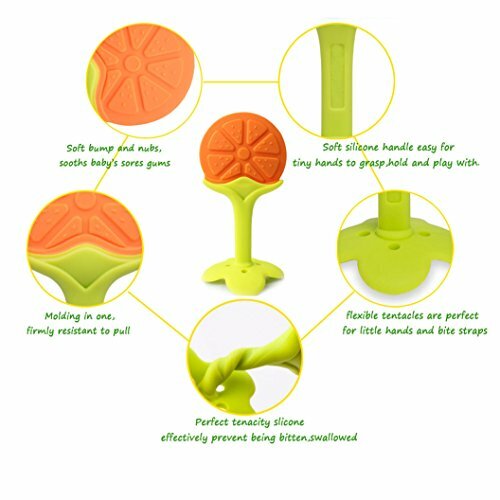 -Easy to clean,hygienic,they can be placed in the freezer to add a cooling effect or placed in the dishwasher to wash.
-Too light and small for baby’s hands to grasp,hold and play,and can help the baby develop motor skills. -It comes with a free pacifier clip, Perfect for holding pacifiers or teething toys ,it prevent the baby from dropping the baby teethers toys to the ground .Help keep the teething toys always clean and germ-free. -Before using it ,please put them in hot water 1 minute for disinfecting. -When using the products，please make sure that there are in good condition, if cracked or damaged, replace the new products ! -Each time after using ,please clean it in warm soapy water and put it in airy place. 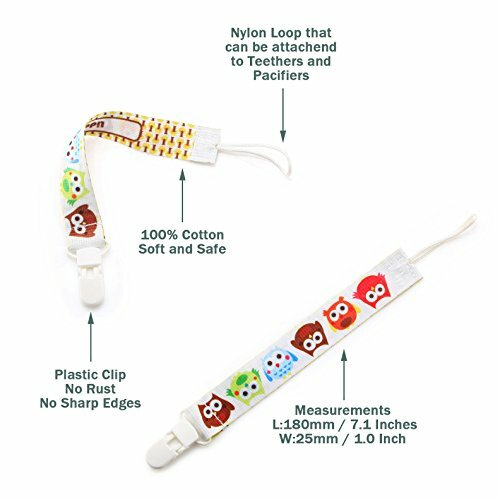 -Do not tie pacifier clip around child’s neck as it present a strangulation danger. -Must be used under adult supervision. 1 X Pacifier Clip100% SAFE FOR YOUR BABY- Our baby teething toys are carefully made with soft and chewable silicone for the comfort and safety of babies. Its materials are FDA approved, BPA-free, toxin-free, dishwasher and freezer safe. It keep your babies from suffer soreness and discomfort when their teeth start to develop. 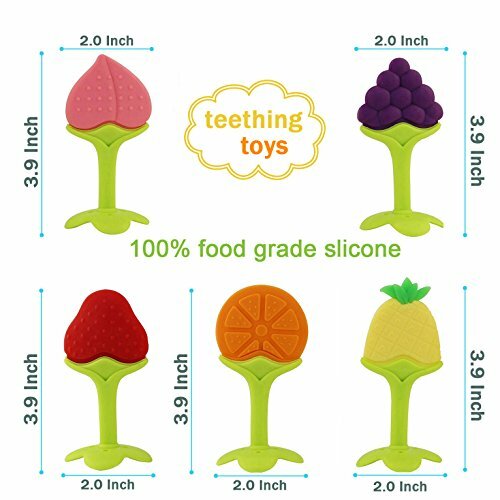 SOFT SILICONE MATERIAL -Our teether toys are made of soft and smooth silicone material,it is best for sore gums pain relief. It have the grooves and bumps to gently rub a baby’s gums without harming the child’s mouth area. And the soft infant teething toys do not hurt them when putting it close to their face. Teethers can be ice chill in refrigerator for cooling effect on gums. COME WITH FREE PACIFIER CLIP-It comes with a free pacifier clip, Perfect for holding pacifiers or teething toys ,it prevent the baby from dropping the baby teethers toys to the ground .Help keep the teething toys always clean and germ-free.